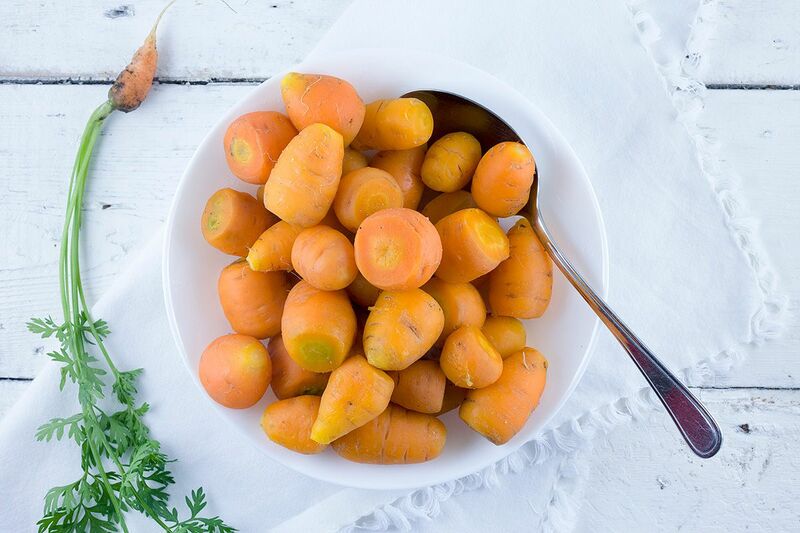 Nothing beats fresh carrots. 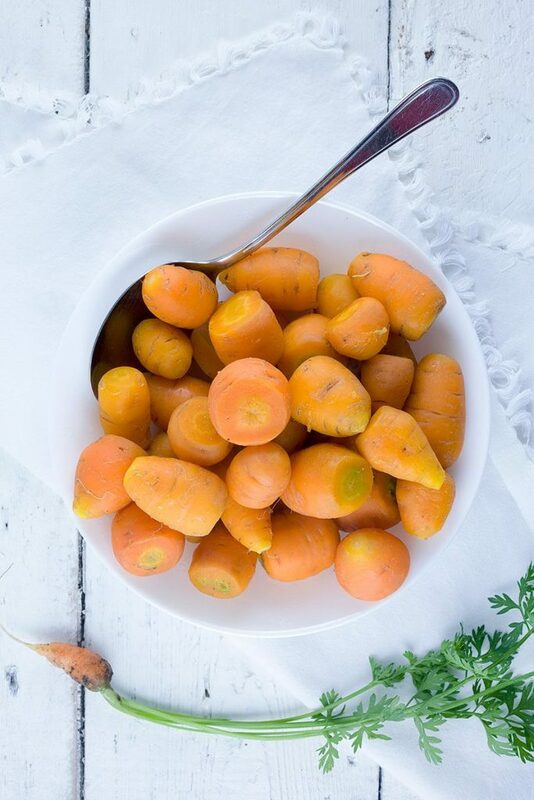 Steamed Parisienne carrots aren't just very cute, the vitamins are kept inside and they are super tasty. REMOVE the carrot greens, instead of throwing them away you can make a pesto with them if you like. 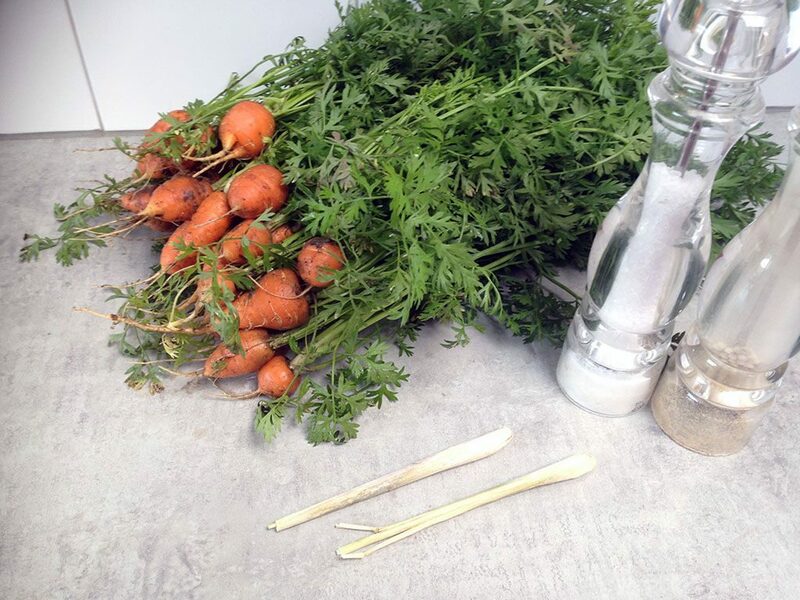 Scrub the dirt off the carrots using a brush or sponge. RINSE them with cold water. FILL a large pan with a layer of water and place the colander inside. ADD the rinsed Parisienne carrots in the colander. CRUSH the lemongrass stalks and add them to the carrots. 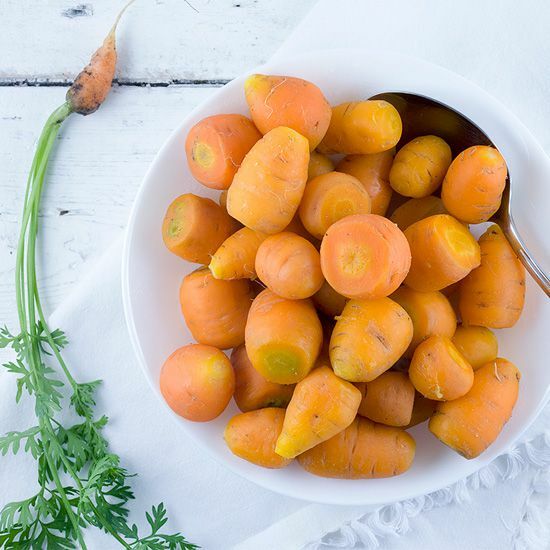 PLACE the lid on and steam them for about 15 minutes, depending on the size of the carrots. REMOVE the lemongrass stalks and SEASON the carrots with pepper and salt. Great as a side dish with lots of meat kinds, such as this old-fashioned braised beef. Enjoy!